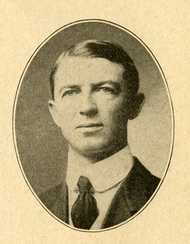 Sullivan, George Henry "Geo. H."
Children: Three children: Katherine E., Daniel C., and Goodrich M.
He became lieutenant governor after the death of Governor Hammond on December 30, 1915 and Lt. 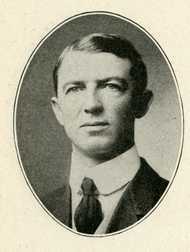 Governor J.A.A. Burnquist's elevation to Governor. We note Sen. George H. Sullivan as Lt. 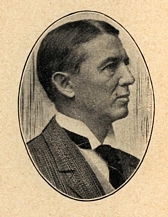 Governor starting on October 28, 1916. However, the newspapers call Sen. Sullivan "Lieutenant Governor" as early as January 1916 (in describing the funeral procession of Gov. Hammond, etc.). An article from October 29, 1916 states that during the October 28 one-day special session, Sullivan was sworn in as lieutenant governor, marking his "official ascendancy" to the post. He died in Mahtomedi, Minnesota. Session Notes: He died while in office on February 15, 1935. Session Notes: In the 1918 election, W.W. Wilcox's margin of victory over George Henry Sullivan was 43 votes. 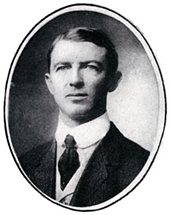 A recount occurred and W.W. Wilcox was found to have won by 35 votes. Wilcox was also charged with violations of the fair campaign practices act. After much debate, on January 31, 1919 the Senators declared the seat vacant. A special election was held, which Sullivan won. Session Notes: On December 30, 1915, Governor Hammond died in office. Lt. Governor J.A.A. 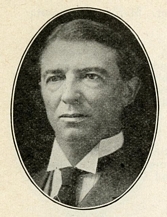 Burnquist became Governor upon his death. We note Sen. George H. Sullivan as Lt. 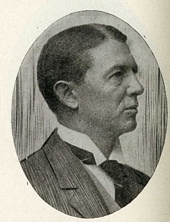 Governor starting on October 28, 1916. However, the newspapers call Sen. Sullivan "Lieutenant Governor" as early as January 1916 (in describing the funeral procession of Gov. Hammond, etc.). An article from October 29, 1916 states that during the October 28 one-day special session, Sullivan was sworn in as lieutenant governor, marking his "official ascendancy" to the post. In Memorium: Senators George H. Sullivan and C.J. Putzier. State of Minnesota Senate Chamber, March 25, 1935. - The information on George H. Sullivan also appeared in the Minnesota Journal of the Senate, March 26, 1935, p. 777-790. “Sullivan v. Wilcox.” Minnesota Journal of the Senate, January 31, 1919, p.231-233. Buell, C.J. "The Sullivan-Wilcox Contest." The Minnesota Legislature of 1919. 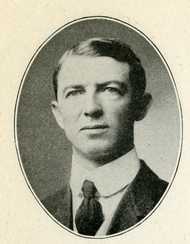 George H. (Henry) Sullivan. Biographical Information from the Minnesota Historical Society's Governors of Minnesota.